Today, Sunday, November 27, 2016 marks the final Sunday of the liturgical year with the Feast of Christ the King. This feast day was instituted by Pope Pius XI in 1925 though Christians have celebrated Jesus as King of Kings and Lord of Lords from the time Christ entered the world. 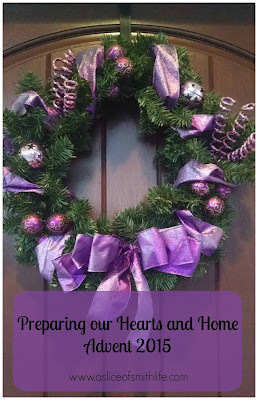 Be sure to read Deacon Marty McIndoe's post Our Lord Jesus Christ-King of the Universe that elaborates on what this feast day is all about. 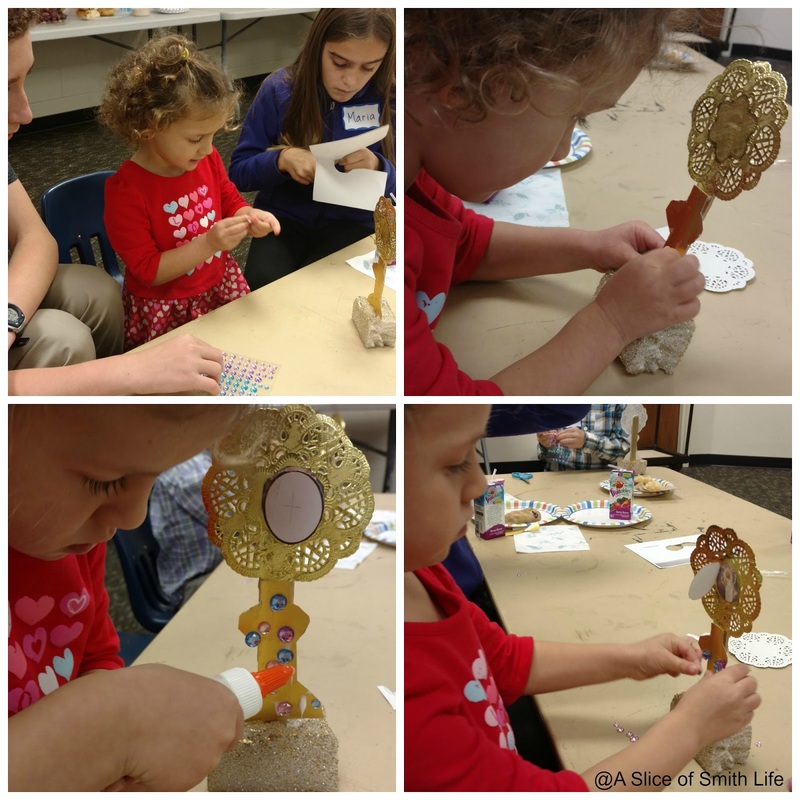 Last Sunday the newly formed Young Families Group at my parish met for the first time for a morning snack after Mass and did a craft that focused on the liturgical church calendar. 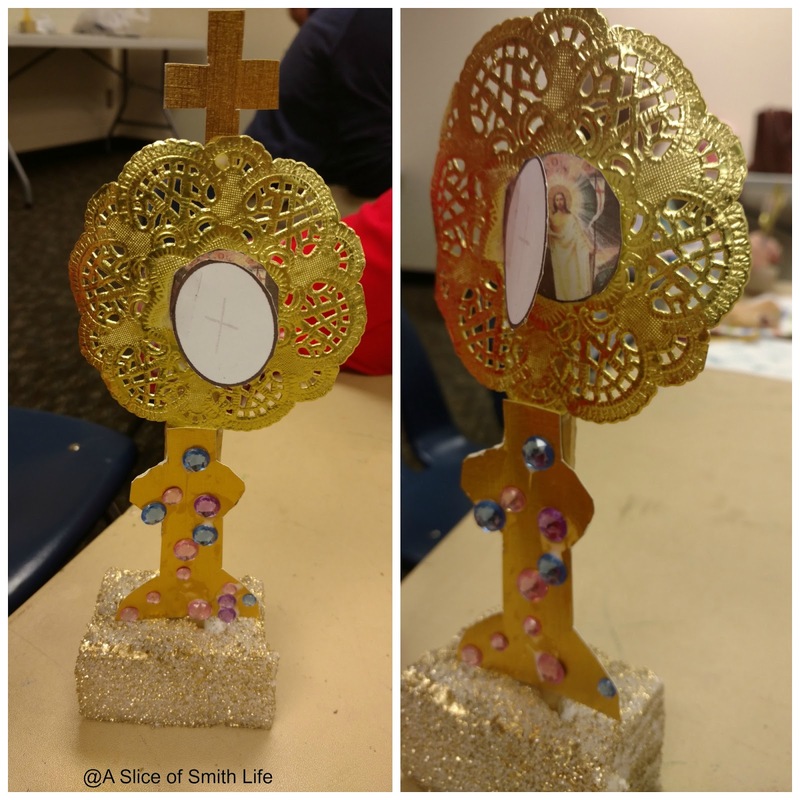 In anticipation of today's feast day, we did a craft to teach the children that in adoration in front of the Blessed Sacrament in the monstrance we worship Christ the King. 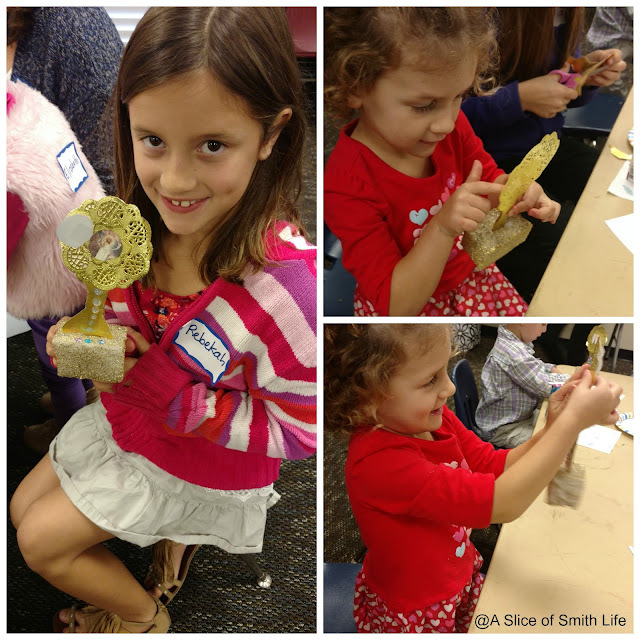 Here are some photos I took as our two youngest children made their monstrance and my older children and friends helped the younger children. Here is a great short 3 minute video titled Christ the King by Christopher Stefanick. It explains what it means that Jesus is King. "Jesus Christ is the King. Is He your King?" Have a blessed week and Thanksgiving!